As a foremost authority on innovation and growth, Clyton Christensen presents a groundbreaking book that every company needs to transform innovation from a game of chance to one in which they develop products and services customers want to buy and are willing to pay premium prices for. 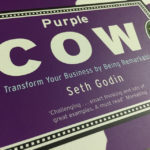 Seth Godin’s seminal work describes how making a great product can be better than even the most expensive marketing and that a ‘purple cow’ can create a buzz louder than any other. 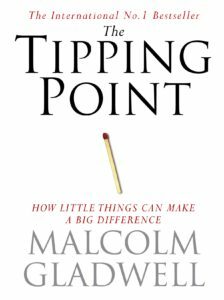 Malcolm Gladwell’s ‘Tipping Point’ describes the situation in which a trend, behaviour or idea passes the threshold or ‘tipping point’ to become an accepted norm. The work has been lauded for its insight. Youngme Moon’s book on truly standing out in the business world has been lauded by critics for it’s personable and conversational tone, which helps those outside of the business sphere to understand the standpoints made. Written in collaboration with Brandgym, whose blog is mentioned on my ‘Blog Inspirations‘ page, ‘Grow the Core’ offers an insight into how businesses should go about growing their core for brand success. This book offers a clear, concise message on how to go about growing a brand using multiple marketing channels all backed up by clear evidence. My alma mater’s professors outline the latest thinking on marketing strategy, platforms and concepts. An insightful read from a group of respected experts. This publication offers an argument that thinking from a design perspective can allow for innovation to flourish across all levels of a business – not just the creative element.